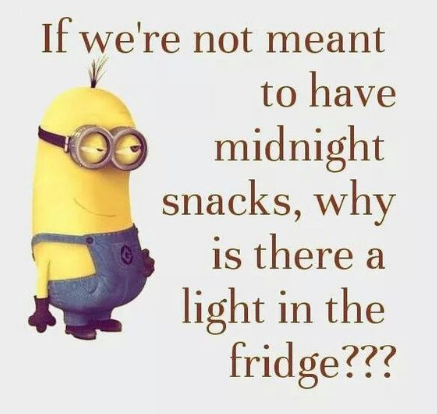 Late night snacking can ruin an entire day of eating healthy and working out. Most of the time, they are usually for junk foods that we don’t need. If you manage to go through those tough hours and sleep, you wake up with zero energy and a feeling of starvation. This makes the start of your day hard. No matter how hard you try, you still have cravings for salty chips, ice cream, and other treats, which are considered unhealthy for your gains and physique. With a completely empty and roaring stomach, you naturally get a bad temper and often at times sulky. People will obviously avoid you. Forget the myth that your body won’t burn off anything you eat right before sleep. Try out these 5 late-night protein snacks to make some gains and not ruin your diet. 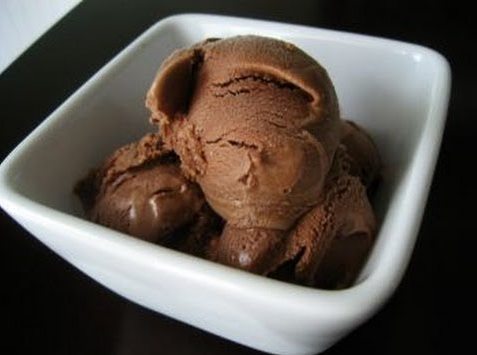 Let’s kick this off with our favorite snack, ice cream. To prepare this healthy late-night snack, you only need two ingredients and a bit of patience. You need a large square Tupperware container. 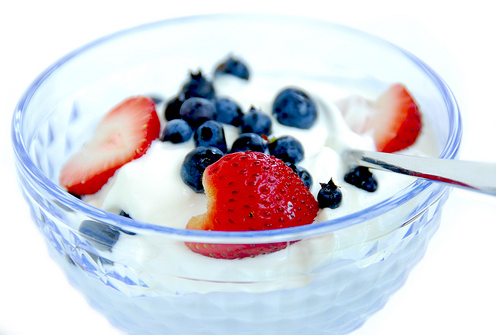 Mix the yogurt and protein powder into a separate bowl, ensuring you have no protein powder that is not mixed in. Finally, add a thin layer of this delicious mixture in Tupperware container for a faster chill. Place it in the freezer for about 30-45 minutes. Now take the mixture out of the freezer and if you see any protein clumps use a fork and mix some more. Put the mixture back in the freezer for another 30-minutes. Finally, remove it from the freezer, turn on your favorite show and enjoy. This treat delivers 511 calories, 10-13g fat, 22g carbs and 76g protein. Low fat cottage cheese is packed with whey protein and casein, which would help to fuel your muscles for their repair and growth throughout the night. This delicious snack takes very little time to prepare. Take a small bowl and add the cottage cheese in it. Next, add the berries and mix with a spoon. Make sure the berries don’t break while you mix them. Sprinkle some almonds on top if you’d like and enjoy this tasty treat. This snack contains 290 calories, 21g carbs, 11g fat and 29g protein. Some of us don’t crave sugar, we crave salty. 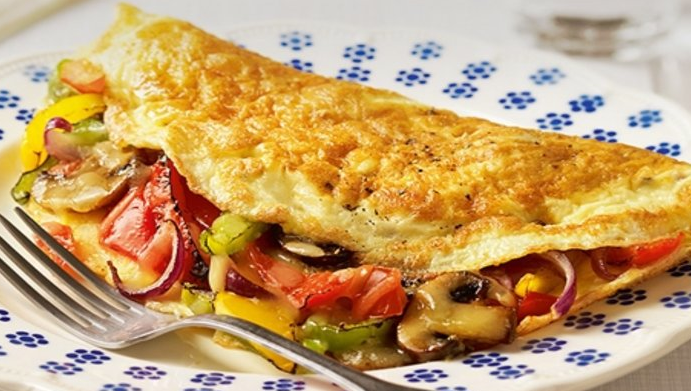 Omelets deliver a healthy serving of protein and healthy fats that will keep you full throughout the night. While omelets are somewhat basic, check out our method of preparation. Crack your eggs into a bowl; add the diced onion, tomato, green chili, and seasoning. Beat all ingredients thoroughly. Cook like a regular omelet and enjoy! This treat delivers (based on 2 whole eggs and 2 egg whites) 215 calories, 24g protein, 12g fat and 2g carbs. These no-bake cookies will satisfy your cravings for junk food while keeping it clean and healthy. 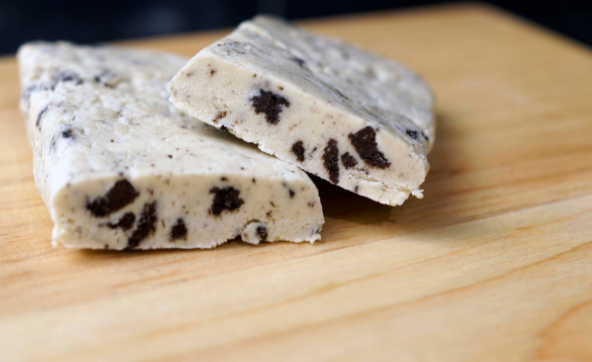 It’s delicious, mouth-watering, includes your favorite Oreos and comes with enough protein to grow your muscles. Combine all cookie layer ingredients in a bowl until you get a dough. Now press it to the bottom of the 7×5 baking dish which is lightly coated with cooking spray. Next, mix the creamy layer ingredients except for the Oreos in a blender and blend until it becomes smooth. Finally, add the cookers and pulse the blender till they are fully spread in the mixture. Add the cream layer onto the base and freeze it for 2-3 hours. Cut into pieces and take a bite. 1 bar of this treat delivers 174 calories, 7g fat, 11g carbs and 17g protein. Last but not the least; nothing is better than a protein shake as a late-night snack. You can be a little creative and add some extra ingredients to make it even more delicious. ½ tbsp. almond butter. You can also use peanut butter. Put all the ingredients in a blender and blend them. Pour into an ice-cold glass and enjoy your protein smoothie. 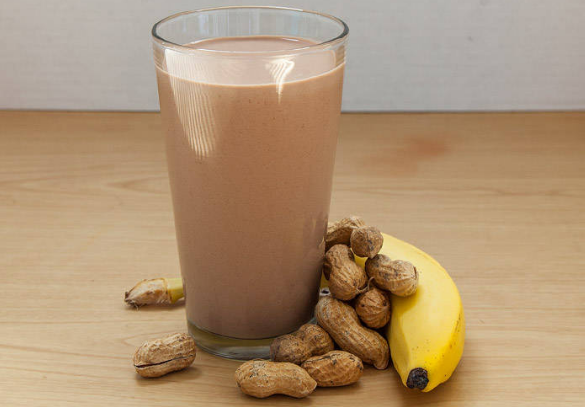 This shake delivers 290 calories, 30g protein, 22g carbs, and 11g fat.